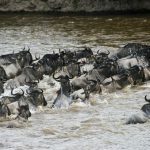 When booking a trip with Dream Kenya Safaris most activities are usually included in the price. Drinks, tipping, shopping and additional activities are for extra cost. You can use VISA and Master Cards at most camps and lodges on safari. Hotels and beach resorts do accept credit/debit card payments though with a surcharge of 5 %. It is, however, good to have cash in Kenyan shillings for tipping and some shopping. Forex exchange can be done at the various banks or immediately you land at the airports in Nairobi or Mombasa airport An average of about 2000 KES – 5000 Kes should suffice, depending on your shopping needs. Be sure to get smaller notes. In Lamu you are best advised to bring cash with you, as most restaurants and shops do not offer VISA services. There is a cash machine in Lamu town for withdrawing cash. There a few banks like DTB and KCB banks right when you embark of at the Jetty in Lamu town. 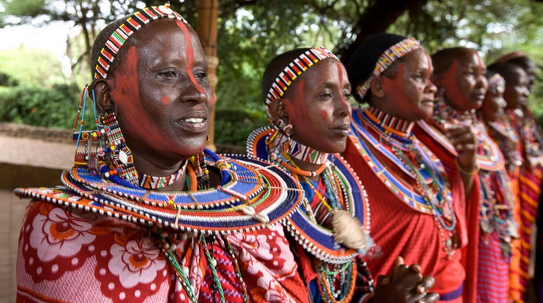 The national language in Kenya is Swahili, which is a mixture of Arabic, Portuguese and Local Bantu languages. Swahili is spoken in a few other countries which includes Tanzania, Uganda, Burundi, Democratic Republic of Congo and Rwanda. English is the other official language in Kenya. Kenya is situated close to the equator so does not experience a real winter or summer season. The country has a pleasant tropical climate but can vary greatly depending on several factors, particularly altitude. Daytime temperatures on average reach between 20°C/68°F and 28°C/82°F, with hotter and more humid temperatures on the coast often rising above 30°C/86°F. The coastal areas are humid and hot all year round but tempered by the monsoon winds. Temperatures inland are relatively temperate, with a hotter and drier climate in Kenya’s northern parts. The hottest time of the year is from mid-December through to March, with the coolest period from late June until October. The long rains fall from late April throughout May to early June, with the short rains falling from November until mid-December. When it comes to clothing, you need to take extra caution as Kenya often exhibits unpredictable weather patterns. Here’s a basic guide of the kind of weather to expect at certain times of the month. January- mid March: Most parts of the country are hot and dry. Light dressing would be appropriate. You can however carry moderate clothing for the cold nights. Mid-march-June: Most parts of the country are experiencing the long rains, but the weather is warm. Carry warm clothing. June-mid October: Fairly hot. The plains are green and it is a good time to explore. Carry a mix of light and warm clothing as the temperatures drop drastically in the evening and nights. Mid-October-December: Short rains. Most parts of the country are fairly cold and wet. It would be in order to carry warm and light clothes. A point to observe is that in the major Kenya cities, most people appreciate contemporary culture and don’t place too much emphasis on dressing. In the rural areas however, because of the reserved African culture, there still exist prejudice towards women dressing in excessively short skirts, short dresses or shorts and pants. At Maasai Mara the dress code is fairly informal; just pick the clothes that you are most comfortable in. In the Maasai Mara you are at about 1300-1500 meters above sea level, so nights can be a bit chilly. Bring your sweater or fleece jacket and wind or rain coat as well. Morning and evening game drives can be quite cold. The savannah is dusty, so white clothes are not advisable. Sandals are fine within the camp, but canvas shoes – preferable with a solid sole – or comfortable walking shoes are important for walking safaris. Bring a small backpack to carry your water bottles, notebooks, binoculars etc. If visiting Lamu, we strongly encourage covered shoulders and knees when in Lamu town or Shela Village, out of respect for the locals’ religion and culture. When you are on the beach or at the Dhow, bikinis or bathing suits are fine. Children are more than welcome, and we often have young visitors! A safari is an excellent experience for all generations; we have had many groups of multiple generations traveling together, with great success for all participants. Most camps, lodges and resorts in Kenya are children friendly are dedicated to providing the ultimate safari experience to both adults and children. However, due to our broad product diversity, there are certain considerations to take into account when considering family safari holidays. We have therefore carefully developed some guidelines that will help families make the most of their safari in Kenya since we have something for everyone regardless of age. Accommodation can be shared with parents or in an adjoining room with a connecting door. Most hotels will also provide nanny services and baby cots for the very young ones. It is usually recommended for families traveling on safari to book a private vehicle due to complexities of making sure you are in time with other safari goers. Whilst Nairobi and some other highland areas are relatively low-risk malaria zones, malaria in Kenya (as well as many areas of East Africa) is endemic so we strongly recommend that you obtain anti-malaria medication before you depart from your medical doctor or other health authority. The most commonly prescribed malaria tablet is currently Malarone. Malaria tablets unfortunately often come with some side-effects (fortunately the most common ones aren’t too serious) and for the most part, manifest with a light-sensitivity and slight upset tummies. We thus recommend that you regularly apply a high SFP sunscreen (even for olive skin). If you are traveling around Africa you will need to be vaccinated against Yellow Fever and you may even be required to show your Yellow Fever certificate on entry in Kenya, so be sure to get one before you depart on your travels! The Yellow Fever jab lasts 10 years (so even though it’s relatively pricey around £80, it’s money well spent) and must be administered at least 10 days before departure. This vaccine is recommended for children 9 months and older. What happens if there is a medical emergency on safari? Should you require medical services while on safari, we have an in-house doctor who will attend to you. In the event of a medical emergency you are assured of the services from the Flying Doctors, a group of well-qualified physicians who travel by aircraft throughout the East African bush providing treatment and emergency transportation to quality medical facilities in larger towns. We also recommend that you purchase a Medical travel insurance with a supplement benefit for emergency medical evacuation. Make sure you have valid travel insurance that covers your safari trip to Kenya. We recommend that you drink only bottled water (not tap water). While staying in any of camps or lodges, you will be supplied with bottled water in your tent, it will also be available during meal times as well as in the vehicle during game drives. We recommend you use bottled water for brushing teeth as well. Most camp will kindly ask you to use the tip box at the reception rather than to tip staff members individually to we encourage teamwork; hence the tip is shared amongst all the staff, not only those few who come close to the guests. The key thing to remember whilst packing for Kenya is to pack comfortable clothes with neutral colours that will blend into the African bush. You don’t’ have to run out and buy expensive safari gear; jeans, a neutral t-shirt, and a baseball cap are completely acceptable! Sunglasses, sun hat, sun cream, a small torch, and a pair of binoculars are part of essential safari packing. The African sun is hot, and Kenya is no exception. While getting a nice tan may be on your vacation to do list, we’re sure being an angry, crispy, sun burnt red is not something you’d enjoy. While the risk of sun damage may be slightly higher in areas like the coast and less in the cloudier highlands, pack a little sun protection anyway. Better safe than sorry! Also, bring your favorite book for the hammock. If you enjoy reading in bed, it might be smart to bring your head torch – it gets a bit dark in Africa during nighttime. Soft bags are easier to store in safari vehicles or small airplanes than solid suitcases. Note that if you are flying to the Mara, the weight limit is 15kg per person. When traveling on safari, baggage should be kept to a minimum of 15kg since you will be using a chartered aircraft from Nairobi to Masai Mara. This should be in soft duffel bags as opposed to hard suitcases to fit in the baggage compartment on small aircraft. Most internal flights allow a limit of up to 15Kg (33-lbs) of luggage per person including hand luggage. On road safaris, the weight and size allowance is not strictly monitored but you should still try to travel light. Please read your itinerary carefully and pack accordingly. Upon arrival at Jomo Kenyatta International Airport (JKIA) you will have to clear immigration. The East Africa Tourist Visa scheme issues tourists with a 90-day, multiple-entry visa that covers travel to Kenya, Uganda and Rwanda for a single fee of US$100. These visas are available upon arrival at Jomo Kenyatta International Airport in Nairobi, and at most land crossings. Apart from convenience, the East African Tourist Visa could save you money, with individual visas for most (but not all) nationalities costing US$50 for Kenya, US$50 for Uganda and US$30 for Rwanda. Also, make sure you have a current and valid passport, that it is not about to expire. Expect that your passport could take up to six weeks to arrive, so make sure you plan well in advance for your passport needs. As a rule, your passport should expire no sooner than six months before the end your travel. When preparing for your passport, it is advisable to make several copies of the actual passport or visa (in addition to the original). This is for your own safety because the last thing you want to do is to be out of your home country without any way to provide proof of your identity, should you lose your passport. You should leave one of the copies at home before you travel, just in case. When you travel with the original passport, always keep it locked up safely, in a hotel safe or other secure location. The Visa process at the airport might be a bit chaotic with everyone filling in forms and joining the queue. You should have been given an immigration form on the plane and it is wise to fill this in before landing, but you can find them at the airport. That way you can go straight to the queue to passport control. Make sure you have the needed paperwork for your approved online visa application. You can apply for your visa here. After picking up your bags, you can head to the exit. Just outside the arrival’s hall, you will be met by a driver, who will be holding a sign displaying your name. The arrivals hall is often very crowded, and you might be approached by taxi drivers before seeing our representative. Just ignore these approaches and keep looking out for your driver. You always want to be aware of your surroundings when traveling away from home. Traveling to Kenya is no different. Be vigilant when in public places and even more when venturing out at night. In case of robbery, report the incident at the nearest police station. Kenya has a Tourist Safety and Communication Center that is always on call. They offer a 24hr tourist where you can seek assistance if needed. The Tourist Safety and Communication Center is available to help with updates, travel advisories, road conditions, health issues, and security. Please contact them if you have any trouble during your visit to Kenya. We understand that you want to take as many pictures of the beautiful country as possible, but before you begin to take pictures of houses or people, ask for their permission. In some cases, you may be required to offer a tip for those pictures. Watch your money. Make sure that, when switching currency, you do so in a reputable hotel, foreign exchange bureau or bank. Do not display your valuables to the world; this will keep you from being the target of theft. Only carry what you need regarding money when venturing out. Keep yourself safe do not display jewelry. Never approach a wild animal, even if they appear harmless. Drinking water – it is safer to drink bottled or mineral water. Tipping is OK although not mandatory in most places. A tip of $5 (or equivalent) is acceptable for most services. We hope these Kenya travel tips have been helpful and will prepare you for a wonderful visit to Kenya. Uber works in Mombasa and Nairobi but the service is not as good as other big cities in the world. There are several taxis lined outside the Nairobi and Mombasa international airports. Avoid ordering uber during rush hours as your driver might not arrive and also don’t rely too heavily on them. Always have a second option. For those who want to travel local the Matatus, colorfully designed buses, can take you basically everywhere around the country and don´t charge you an arm and a leg. Keep in mind, it will take you a while especially when traveling long distances because they pick and drop off passengers along the way. The matatus are the typical way to get your experience of Africa. The noise, the sounds, the smells, you name it. All your senses will be put in good use. As soon as you arrive in Mombasa and most of the coastal towns it is not hard to sport the Tuktuks. They are everywhere and stop anywhere along the roads. The Tuktuks are ideal for short distances, you can easily hop on one from one place to another. Another way of getting around in the cities and villages are the Boda Boda (motorbikes). There are several scheduled buses from Nairobi to Mombasa, Kisumu, Eldoret, Kakamega, Dar es salaam, Kampala. Popular buses travel during the day and night. These are for the long-distance travelers. The journey will take from 5 – 10hours on sometimes very bumpy roads. The new Madaraka express train in Kenya plies the Mombasa – Nairobi route. The Mombasa–Nairobi Standard Gauge Railway is a standard-gauge railway (SGR) in Kenya that connects the large Indian Ocean city of Mombasa with Nairobi, the country’s capital and largest city. The inter-county train will now be departing from Nairobi at 8.20am and not 8am. It will arrive in Mombasa at 2:18pm. Those traveling from Mombasa to Nairobi using the express train will depart at 2.35pm, five minutes late than the current departure time, and arrive in Nairobi at 7.18pm. Kenya Railways has also advised passengers traveling from Mombasa to Nairobi and using the inter-county train to board at 8am and arrive in Nairobi at 1.42pm. The train will depart Mtito Andei at 11.20am, Athi River at 8.40am, Emali at 9.47am, Kibwezi at 10.32am, Voi at 12.29am, Mariakani at 1.49pm and Miasenyi at 1.04pm. Meanwhile, the express train will leave the Mombasa station at 3.15pm and arrive in Nairobi at 8.14pm. There are also several domestic flights connecting Nairobi to other towns within Kenya and regionally.